There is something about weddings and video games, huh? People proposing through games is something we hear about often. Here's a small twist: announcing your wedding via video game. That's exactly what Barry Adams and his fiance, Katie, did — they made a small game to celebrate their wedding that anyone can play. It includes small snippets of the couple's history. It's cute. "The concept for the game came from traditional wedding invitations, which were styled after an 8-Bit game. This eventually evolved into a small game that just had to be fleshed out" Adams says. 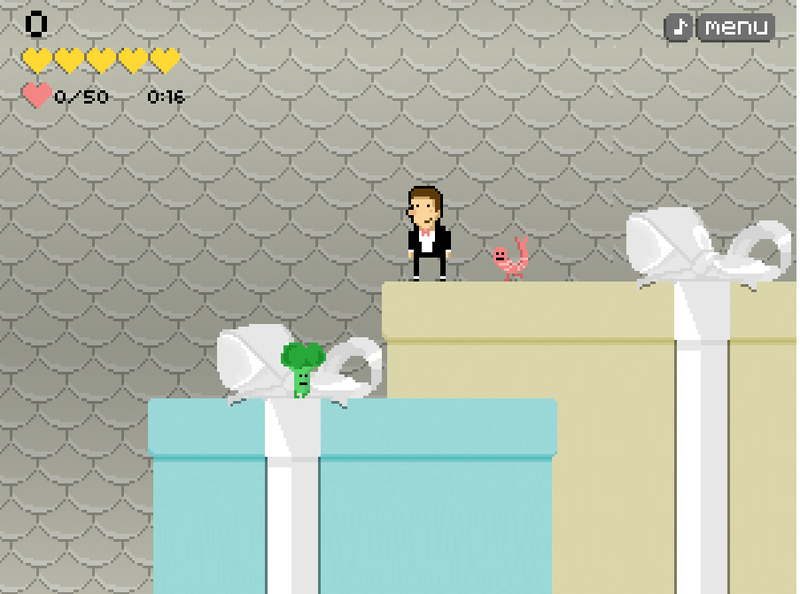 You probably won't attend the wedding (I'm guessing), but you can play it here. It's appropriately called Save The Date. Expect to traverse cake, wedding gifts, champagne and other wedding-type items. I don't know if I'll ever get married but if I do, man, the pressure is on to be creative about it!